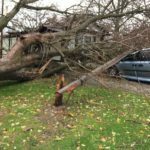 This time around’s blog is all about the issues we regularly see with Tree preservation order applications and how to avoid them. Its going to be a two if not three part blog and I’ll follow it up with how to apply to carry out reduction works on trees with a tree preservation order, but we’ll concentrate on removals this time round. The process of applying for works to trees covered by a tree preservation order is a relatively simple process in the grand scheme of planing applications. You fill the form out detailing what work you want to carry out, add a simple drawing to show the tree positions and add supporting information from a suitably qualified person. Simple, the council don’t charge for this application although their can be a cost associated with an application as they do take time to fill out correctly, especially when you need to provide evidence that the tree is decayed or diseased. However in the past few weeks we’ve had several people needing help or facing prosecution because they’ve filled the form out incorrectly, been given the wrong advice or haven’t even applied for the work as their “tree surgeon” said it wasn’t necessary or they didn’t have to wait. Lets get the last point out of the way first. In all cases if your tree, or trees, are protected under a tree preservation order then you need to apply to carry out ANY work to them. There are no exemptions, even if its fell down and is sitting on top of next doors cat, an application has to be made, just make sure there’s plenty of evidence to support your claim before you start clearing it up and get the application filled in as soon as possible. If its dropped a limb, take a lot of pictures, remove the limb and put your application in detailing the issues and showing that you’ve cleared it up. But bear in mind just because a branch has fell off it doesn’t mean your tree is going to fall down next week. If you want to remove a tree covered by a Tree preservation order, then you need to supply evidence provided by a suitably qualified person, the form says expert but I really don’t like that word. This is where the issues start, a large amount of what we get sent to remedy consist of a “tree report”, and I use the term loosely, that goes along the lines of the tree is diseased and decayed and needs to come down. If this is all the information that your “tree surgeon” has provided then your application should be and will be refused and your best course of action is to find someone else to carry out the work. Why? Because they will have no formal arboricultural training if any at all. A few NPTC certificates doesn’t make an arboriculturist and it only shows that their qualified to operate a saw not pass judgement on tree health or conditions and as such won’t be covered under their insurance. If your tree has decay you’ll be expected to prove it and to prove how bad it is usually with a tomograph or resistograph read out and report. These are easily carried out and although there not cheap they are one of the few ways of proving that a tree has decayed to such an extent that its removal can be justified. We are looking at another quicker way of carrying this work out but we’re keeping it quiet until we’ve got everything in place. 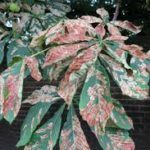 If its diseased again, prove it and identify what the disease is and just remember not all are lethal, brown spots on Horse Chestnut leaves are normally only leaf miner and not a reason to remove and your application will most likely be refused. That’s about it for this first stage of the tree preservation order blogs. I’ll look to have the next part up in about a fortnights time, in the meantime if you want any further information then please get in touch. If your interested in what our tree reports for tree preservation order applications consist of then there’s further details here. Until next time thanks for reading. 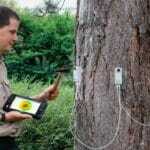 ← Are tree diseases really an instant call for the chainsaw.